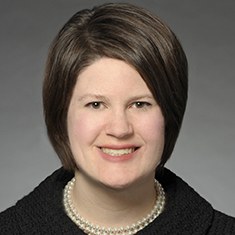 Emily J. Prentice concentrates her practice in litigation matters, including complex commercial disputes and insurance and health care fraud matters. She has handled a wide range of litigation matters, including lawsuits involving claims for fraud, breach of contract, tortious interference, unjust enrichment, declaratory relief, and violations of the Racketeer Influenced and Corrupt Organizations (RICO) Act and deceptive and unfair trade practices laws. Emily has extensive experience managing all aspects of litigation, including managing pre-suit investigations, preparing pleadings and managing discovery, motion practice, trial preparation, and settlement. While in law school, Emily was a member of the DePaul Law Review.